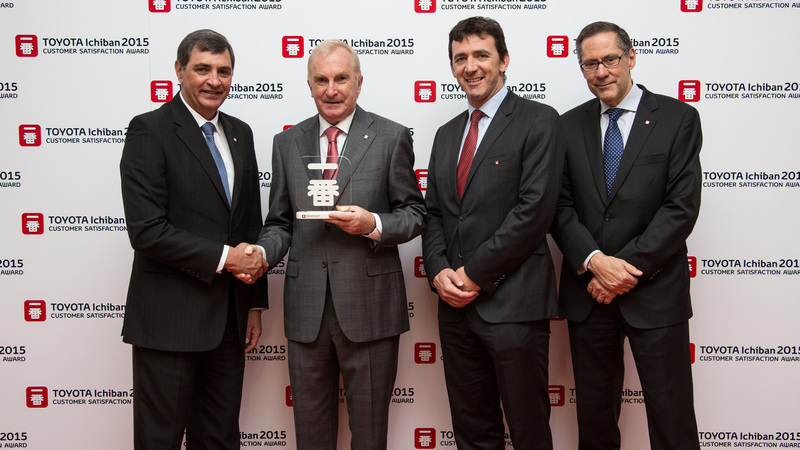 Tony Burke Motors Galway is one of 45 winners of the 2014 ‘Ichiban’ European Customer Satisfaction Award during an event held in Madrid, Spain. Customer First philosophy has always been a focus of Toyota and is part of the company’s DNA. With this principle in mind a total of 45 awards were presented to Dealers from 34 markets, in recognition of their exceptional performance in Customer Satisfaction both in Sales and After Sales areas. ‘Ichiban’ is the Japanese word borrowed from ‘Okyakusama Ichiban’ which means ‘Customer First’, with ‘Ichiban’ meaning ‘first’ or ‘number one’. Since the beginning of the TME’s annual Ichiban Awards in 2007, Customer Satisfaction performance of the Toyota retailers has improved by some 52.4% in Sales and 47.4% in After Sales, according to an internal Toyota customer satisfaction survey performed in Europe. Approximately 2,300 European retailers were evaluated on their performance to create exceptional customer satisfaction.